Charles M. Rittgers is a trial lawyer with a record of success in criminal defense, DUI, and injury cases. Charlie's record includes not guilty jury verdicts in numerous cases in which no plea bargain was offered by the prosecutor, including murder, DUI, and domestic violence. In injury cases, Charlie is willing to take cases to trial that most lawyers would settle. For example, despite having a $1,000,000 offer from an insurance company to settle a motorcycle crash case, Charlie and his client refused the offer, took the case to a summary jury trial, and received a verdict of $9,000,000. In the 2018 and 2019 calendar year, Charlie settled numerous cases with great success for his clients including settlements of $5,000,000, $2,750,000, $2,100,000, $1,100,000, $1,000,000, and $500,000. Charlie is a certified member of the Multi Million Dollar Advocates Forum, one of the most prestigious groups of trial lawyers in the United States. Fewer than 1% of U.S. lawyers are members. He was selected to the Super Lawyers Rising Stars list by his peers who were asked to select the best attorneys under 40 years old. As a result of his experience, Charlie has appeared on national and local television shows and radio broadcasts. He has also served as moderator for local political debates, guest speaker to college graduate students, and featured speaker in educational webcasts for attorneys across the nation. Charlie was named to the Top 40 Under 40 by the American Trial Lawyers Association and Top 25 Motor Vehicle Trial Lawyers by The National Trial Lawyers. Charlie graduated from Lebanon High School and continued his education at Dartmouth College where he was a starting quarterback in the Ivy League. Following college, he worked in the high paced environment of investment banking in New York City at Bank of America before returning home to attend law school at the University of Cincinnati. During law school Charlie worked for the Honorable Michael R. Barrett at the United States District Court for the Southern District of Ohio. He was also on law review. In his spare time, Charlie enjoys watching and playing sports. Charlie has served on the Alumni Planning Committee and the Law Review Alumni Advisory Board for the University of Cincinnati College of Law. He has also served as an alumni interviewer for Dartmouth College. 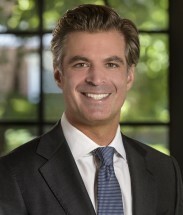 He is an active member in a number of local bar associations as well as the Ohio Association for Justice and the Ohio Association of Criminal Defense Lawyers. His wife, Samantha, is an attorney at the Cincinnati law firm of Graydon Head.